If you are not receiving your own copy of Malankara World by email, please add your name to our subscription list. It is free. click here. I think God gives us Mommas and Daddies to help children feel warm and safe and secure in this sometimes scary world. That sense of security and trust helps a child grow to be a self-confident adult. A lot of children are raised without that sense of security. I was fortunate. ..
Momma knew just when to help me and comfort me and when to make me get up and try again. How much more difficult it was for her to teach me that certain actions have consequences, when she would rather have saved me from ever having to experience hurt or failure. And isn't that just like our Lord? Life gives us some hard lessons; but God knows how to use them to make us better persons. When Jesus was getting ready to leave this world and knew that he would be leaving his anxious disciples on their own, he reassured them by saying: "Father is going to send you another Comforter, to be with you forever." Just as a skillful mother is able to pacify and soothe the woes of her child, so is God with us. Who here is distressed? God will soothe you. Who is sorrowful? God will calm your troubles. Who here is stressed? God will cause you to rest in him. This Sunday is celebrated as Mother's Day in USA. So, this issue of Malankara World Journal is dedicated to honoring mothers. For Orthodox Christians, when we think of Mother, the first thought is about St. Mary, the mother of Jesus. Mothers are hand picked by God as they have to meet stringent qualifications. Invariably, the motherhood requires suffering and service. Each of us can recall the sacrifices our mothers made to bring us to the situation we are. So, this Sunday, let us call our mothers (and grandmothers f we are fortunate to have them) and let them know how much we appreciate their sacrifices. I came across the following short article on the role of mothers in rearing a child. A baby asked God, "They tell me you are sending me to earth tomorrow, but how am I going to live there being so small and helpless?" God said, "Your angel will be waiting for you and will take care of you." The child further inquired, "But tell me, here in heaven I don’t have to do anything but sing and smile to be happy." God said, "Your angel will sing for you and will also smile for you. And you will feel your angel’s love and be very happy." Again the small child asked, "And how am I going to be able to understand when people talk to me if I don’t know the language?" God said, "Your angel will tell you the most beautiful and sweet words you will ever hear, and with much patience and care, your angel will teach you how to speak." God said, "Your angel will place your hands together and will teach you how to pray." God said, "Your angel will defend you even if it means risking its life." "But I will always be sad because I will not see you anymore." God said, "Your angel will always talk to you about Me and will teach you the way to come back to Me, even though I will always be next to you." At that moment there was much peace in Heaven, but voices from Earth could be heard and the child hurriedly asked, "God, if I am to leave now, please tell me my angel’s name." God said, You will simply call her, "Mom." If I live in a house of spotless beauty with everything in its place, but have not love, I am a housekeeper--not a homemaker. If I have time for waxing, polishing, and decorative achievements, but have not love, my children learn cleanliness - not godliness. Love leaves the dust in search of a child's laugh. Love smiles at the tiny fingerprints on a newly cleaned window. Love is present through the trials. Love crawls with the baby, walks with the toddler, runs with the child, then stands aside to let the youth walk into adulthood. Love is the key that opens salvation's message to a child's heart. Before I became a mother I took glory in my house of perfection. Now I glory in God's perfection of my child. Today is Mothers' Day, and we celebrate all those innumerable times when we were rescued by the heart of a mother. Happy Mothers' Day to all you mothers here. Now everyone knows that a good homily has three main points. But alas, Mothers' Day is so rich that I'm afraid there are four main points I must cover. The first is the motherhood of all human mothers, especially our own and those among us. The second is the special motherhood of Mary, the mother of Jesus. The third is the motherhood of God. And the fourth is the social application of motherhood, peace. First, it means sharing in the creative power of God. Conceiving, carrying, and giving birth to a human being is as close as any person can come to the act of creation. That is the beginning of motherhood. But it is far from the end. Motherhood is also nurturing, sacrificing, loving, and ultimately letting go. (The first reading, about the two women before Solomon, each claiming to be a baby's mother, is an extreme example of how sometimes loving can mean letting go. As the real mother found out, sometimes being willing to let go is the only way to hold onto your child.) In these ways, too, mothers reflect the nature, the actions, and the being of God. We are grateful to our mothers. I am grateful to my mother --- and to Deacon Maggie, the mother of our seven wonderful children. And we are grateful to God for giving us our mothers, and for being the source and font of their motherhood. The second point to be celebrated today is the special motherhood of Mary. As she says in the Magnificat, "All generations will call me blessed." Why do we call her blessed? Because she was honored with the special privilege of being the mother of Jesus, the Word made flesh, God incarnate. She was given a great gift. But is this why we honor her, for being extremely lucky? Do we honor someone for winning the lottery? Well, maybe we do, but we shouldn't. Do we honor Mary for her virginity? We shouldn't. It was not at all uncommon for girls her age to be virgins. No, what makes Mary worthy of honor is her motherhood -- and not just the biological part. God could have used the womb of any one of thousands of Jewish girls of that day. But motherhood is more than that. God chose her because he knew she would also do the nurturing, the sacrificing, the loving, and the letting go. And in Mary's case, this wasn't easy, especially the letting go. We also honor Mary because she knew all this would be difficult when she agreed to it. She knew the suspicion and shame her pregnancy would bring upon her. Being an unwed mother wasn't any easier then than it is now. Yet she said yes to God, and became the first Christian. Ordained by God, not man, she was in a very real way the first Christian priest. After all, she changed bread and wine, ordinary food and drink, into the body and blood of Jesus -- in her womb for nine months. Those of us who have followed her in the priesthood bring Jesus into the world in the form of bread and wine. Every one of us, all Christians, royal priesthood, bring Jesus to the world through our example. Mary did it in flesh and blood. And for this, all generations will call her blessed. But we honor her more for the part of her motherhood that only began in that Bethlehem cave. The third point of my sermon is the motherhood of God. We have talked about how mothers, including Mary, share in the creative actions of God. We have also noted that the nurturing, sacrificing, loving acts of mothers reflect the nature of God. It follows, therefore, that God's nature includes all the maternal instincts and qualities. It is also indisputable that God's creative power is complete and undivided. God even gave some animals (like amoeba) the power to reproduce themselves. But in others, like man, God divided his creative power between male and female, so that they would have to come together to reproduce. (By the way, thank you, Lord, for this must agreeable arrangement, this most pleasant plan!) Obviously, God is the source and model of both male and female. Mothers: be assured, you are made every bit in God's image, and perhaps even more so than us who mirror only the fatherhood of God. God is love, the Gospel says, and you mothers are the highest created implementation of that love. You reflect the motherhood of God. Finally, it is fitting that on Mothers' Day we reflect on the social application of motherhood -- peace. Mothers' Day, contrary to popular wisdom, was not invented by the Florists' Association; nor by the telephone company. Mothers' Day was invented by a mother protesting the killing of World War I. She got other mothers to protest, too, and pretty soon Congress got in the act. Finally, President Woodrow Wilson pronounced the second Sunday in May as Mothers' Day, a day dedicated not to honoring mothers, but to honoring their wishes -- that the killing be stopped. This aspect of Mothers' Day is too often ignored, even by the church. It should not be. It is central to the whole idea of motherhood, including the motherhood of God. You mothers know the pain of seeing your children fighting and hurting each other. Can you imagine the pain of seeing one of your children kill another? Can you imagine seeing your children divide into opposing armies and slaughter each other? That's what war is to God. It is not enough to set aside a day to honor mothers. We must devote ourselves to ridding our social institutions of the violence and killing which have caused so many mothers so much pain and grief. We must try to imbue our institutions, including the church, with the ideals and attitudes of motherhood. We must strive for a society which reflects the nurturing, the sacrificing, and the loving of mothers. For then they will also reflect the nurturing, the sacrificing, and the loving of God, the mother of us all. I remember the day she was admitted to the ward. As I reviewed her admission papers, I was surprised to see that she was 32 and being admitted for chemotherapy to treat breast cancer that had been diagnosed two weeks earlier. I entered the room and introduced myself. Rebekah, her eyes sparkling with love and her ponytail bouncing, introduced me to her husband, Warren, and her daughters, Ruthie, age six, and Hannah, age four. Cradled in her crossed legs wiggled her third daughter, Molly, age two. While I filled out forms, Rebekah directed the unpacking of her suitcase — a comforter made by her grandmother, a poster of cheer from her church circle, and a family portrait for her bedside table, along with her worn Bible. Warren gathered the girls to go to the airport to pick up Grandmother. "I need to place a needle in your arm to give you the chemotherapy," I explained. "I'll do anything to get well for my husband and girls. I can handle throwing up, losing my hair, and being tired, but I'm absolutely terrified of needles." Rebekah's voice shook and her eyes brimmed with tears. "You can cry, but please don't move. On the count of three ..."
"The Lord is my shepherd, I shall not want." Rebekah said loudly as the needle slid smoothly into the vein. With the successful completion of the intravenous, Rebekah asked, "What is your favorite Bible verse?" "John 11:35," I answered. "Jesus wept." "Oh! That's a sad verse," she replied, a bit somberly. "It brings me comfort, knowing that Jesus is sad when bad things happen to his people. It demonstrates to me a human side of him that I need to know when I care for sick people. I know he can and will heal the sick, but returning to health can entail sad times, so I know he is there to support me in the sad times so that I can support patients." "I'll have to give that some thought," replied Rebekah. For the next 18 months, I saw Rebekah on a regular basis to receive chemotherapy and radiation. A chest X-ray showed the cancer had spread and there were no further medical weapons to use against the cancer. How could I support her in this new challenge? I entered Rebekah's room and found it cluttered with paper, tapes, and a tape recorder. "Nan, I'm making tapes for my daughters, to know what I feel, think, and advise on important occasions. I don't want them to forget me. Do you have any suggestions?" I looked over her list — first day of school, becoming sweet 16, first date, first kiss, confirmation, etc. She let me listen to the tapes, which were moving and filled with motherly advice, encouragement, and love. Rebekah taped each day from her notes as she grew weaker and weaker. Rebekah explained to her young daughters that she was making special tapes that their dad would keep for them to listen to later. She explained that she was going to live with God and help him get a home ready for them when they were very old. We all knew the end was approaching. I was surprised when I got a frantic phone call at home from a nurse who said that Rebekah was pleading — begging that I come with a blank tape. Making a mental checklist of all the tapes she had made, I could not imagine what topic could have possible been forgotten. Entering Rebekah's room, I noticed she was having severe shortness of breath and was very anxious, gasping, "Nan, do you have the tape?" "Take a deep breath. Of course I have the tape," I replied. As I set up the tape recorder, she explained, "This is my most important tape." I held the microphone close to her mouth and she began, "Ruthie, Hannah, and Molly, some day your daddy will bring a new mommy home. I want you to make her feel very special, and how proud you will make me feel if you are kind, patient, and encouraging to her as she learns to take care of each of you. Help her set the table. Please bring her dandelions to put in the special vase — most important, hug her often. Please do not be sad for long. ‘Jesus cried.' He knows how sad you are and he knows you will be happy again. I love you so much, Hannah, Ruthie, and Molly. Big hugs, your first mommy." I turned off the tape player. "Thank you. I can sleep now." I adjusted the pillow under her head and rolled a pillow to her back and exited quietly. Rebekah died two days later. I mailed the tape to their dad four years later when Warren and the girls prepared to welcome their new wife and mommy. Since time began, there have been maybe six billion mothers. This was the story of just one of them. In this case, as with Mary the mother of Jesus, the hardest part was probably the letting go. Other times, it's something else. Every story of motherhood is different. Each one is valuable. I'm sure each of you has your own. Today is a day for remembering those stories. Mothers, we honor you this day and every day. We thank you, and we thank God for giving you to us and for endowing you with the spirit of giving, caring, nurturing, loving, and (when necessary) letting go. God our Mother and Father, rid our hearts and minds of all feelings and attitudes which do not reflect your loving kindness. Bless all mothers. Reward them for their sacrifice and their faithfulness to your image. Give them the strength to endure the pain that often accompanies the task of mothering. And Lord, have mercy on us males who have so often been the cause of their suffering. Help us abandon violence and more faithfully reflect the wonderful maleness and fatherhood in you that we too often fail to imitate. We thank you for our mothers and for that part of you we have received through them. Finally, we pray that you will never let us forget the stories which remind us how much our mothers and wives have given us. We ask this, emboldened by your Holy Spirit, through Christ our Lord. Amen. In Honor of my Mother, Mildred Lorene Hobbs 12/17/19 - 6/8/80. Jesus may have said, "I will ask the Father" But Daddy always said: "Go ask your mother." Daddy always said, "Don't do what I do, do what I say." But Momma always said, "If you loved me, you would do what I tell you." That's how we begin this text, with Jesus saying to his disciples: "If you love me, you will keep my commandments." That's why I think God must be a lot like my mother – and probably a lot like yours, too. Oh, not that my mother was perfect. Sometimes she came real close. But I have to admit, when I was a kid, I didn't always think so. Recently I read this essay called "The Meanest Mother in the World"
"I had the meanest Mother in the world. While other kids had candy for breakfast, I had to eat my cereal, eggs and toast. While other kids had cakes and candy for lunch, I had a sandwich. As you can guess my supper was different from other kids' supper too. My mother was so mean that she insisted on knowing where we were at all times. You'd think we were in a prison or something. She had to know who our friends were and what we were doing. I am ashamed to admit this, but my Mother actually had the nerve to break the child labor laws. She made us work. We had to wash dishes, make the beds and learn how to cook and clean. I think my mother must have stayed awake at night thinking of things for us kids to do. And she insisted that we tell the truth, the whole truth, and nothing but the truth. She never let me get away with anything. By the time we were teenagers my mother was even wiser and our life became even more unbearable. She would embarrass us by insisting that our friends come to the door instead of tooting the car horn for us to come running. And she always insisted that we be home early on school nights and never let us stay out late on weekends like all our other friends. We missed so much fun. Mother was so mean that she refused to let us date at the mature age of 13 or 14, like so many of our friends did. Instead we had to wait until we were 16. She kept telling us that there was a lot of time - and that we needed to grow up a bit first. Mother really raised a bunch of squares. None of us was arrested for shoplifting or busted for dope. And who do we have to thank for this --- you're right - our mean old mother. I am trying to raise my children to stand a little straighter and taller and I am secretly tickled to pieces when my children call me mean. I thank God for give me the meanest mother in the world. I think that our country doesn't need a good five cent cigar. IT needs more mean Mothers like mine. " Yes, there were times when I thought my Momma was the "Meanest Mother in the World," too. I always knew that my Momma said what she meant and meant what she said. Sometimes I didn't like that. Sometimes back then I wished she were a little more indulgent. But I realize now that Momma knew that permissiveness would lead to my becoming a self-indulgent adult. Though Momma wasn't demonstrative about her faith, I know she prayed for me. In fact, she taught me to pray. Some of my earliest memories are of Momma coming to my bedside to tuck me in. She would read me a story from the Bible Picture Story Book and then I was to "say my prayers." – "Now I lay me down to sleep...I pray the Lord my soul to keep." Then she would tuck me in and kiss me goodnight. I felt warm, safe and secure. I think God gives us Mommas and Daddies to help children feel warm and safe and secure in this sometimes scary world. That sense of security and trust helps a child grow to be a self-confident adult. A lot of children are raised without that sense of security. I was fortunate. Momma was also the disciplinarian in our house. None of that "Wait until your Father gets home" for her. That part we read earlier from I Peter 3:13 reminded me of Momma when it said: "Now who will harm you if you are eager to do what is good?" I have heard it said that most kids are really eager to do good and please their parents -- they just need it 'splained to them. Momma had to do a lot of 'splaining! Momma made the rules and she stood by them. I came to understand that her following through on rules and boundaries helped me to know that I was cared for and it gave me a sense of security and stability. Momma didn't love me on the basis of my ability to follow her rules – momma loved me no matter what -- but she loved me enough to set rules and see that I learned to follow them. Because of that I was able to learn discipline and self-control, and respect for authority. If you love me, Jesus said, you will keep my commandments. Both Jesus and Mom knew that the rules and teachings were there for our own best interests. I heard another preacher say that when he asked as a child what he could give his mother for Mother's Day she said, "If you love me, be nice to your brothers and sisters." I think that's what Jesus meant! Yes, Momma was a teacher and a guide and a rule setter. But she was also a nurturer and a comforter. Momma was the one to care for me when I was hurt or ill. She knew just the right remedies for whatever was wrong. There weren't many: Merthiolate and a band-aid for a cut, alcohol rub for a fever or injury, salt water for a sore throat, mentholatum for a cold and milk of magnesia for a tummy ache. Sometimes all I needed was a kiss and a cookie. Oh, and of course, there was always the peach tree switch when I needed it, too. Momma knew just when to help me and comfort me and when to make me get up and try again. After I became a Mother myself I realized how hard that must have been. . .to teach me to be self-sufficient and confident when it would have been easier to just do it for me. How much more difficult it was for her to teach me that certain actions have consequences, when she would rather have saved me from ever having to experience hurt or failure. Because of that I believe I was able to learn to be responsible for my actions. And isn't that just like our Lord? Life gives us some hard lessons; but God knows how to use them to make us better persons. When Jesus was getting ready to leave this world and knew that he would be leaving his anxious disciples on their own, he reassured them by saying: "Father is going to send you another Comforter, to be with you forever." You see, because Jesus and Mom can't always be with us, God sent the Holy Spirit. The Holy Spirit is Christ with us. That word "Comforter" is "Paraclete" in the Greek. It means "another one just like myself" – it means "one who will go along beside you." In the Roman custom, a wealthy family engaged a slave to be a "paraclete" for their children. The Paraclete was like a constant nanny for the child – he would walk them to school, wait outside for them, and walk them home again. The Paraclete was a constant presence, employed to help the child, to guide the child, to monitor the child and to guard the child's life with his very own. Now, isn't that just like a Mom? The Holy Spirit is also Christ for us. Sometimes that Paraclete would serve as an advocate for the child. He would report to the family of the child's progress. If the child got into trouble, the Paraclete would stand before the parents and defend and be a champion for the child, pleading his or her case. In many instances, the Paraclete would even take the child's punishment! I will not leave you orphaned. I will come to you. I remember when my mom died, I experienced a sense of loss and grief that I had never before encountered. It was a feeling of utter lostness, desolation, and abandonment. Of course, I knew she didn't abandon me on purpose. But grief is most often not rational. God knows she would have chosen rather to live out a full life as wife and mother and child of God. But she died at a rather young age on the day of my 33rd birthday. I was an adult and a mother myself. I really thought I was prepared for her death, for she had endured so much those last few years of her illness. But when she died, I remember one terribly lonely day singing with great anguish, "Sometimes I feel like a motherless child." God knows how that feels. You may know how it feels, too. But Jesus said, "I will not leave you orphaned." – "I will not leave you desolate. I will come to you." When he says "I will come to you" he isn't just saying he will come again on the last day. . .he is promising that he will come to them – to us – in the form of the Holy Spirit. You see, God loves us so much he just can't stay away from us! God wants to be in constant contact with us. Like the best of mothers, God wants to nurture us, and to grow us up to be happy, productive adults. God wants to protect us, to guide us, to instruct us, to heal us, to forgive us, to love on us and to kiss away our tears. Now, isn't that just like some moms you know of? Oh, thanks be to moms and all the loving persons in our lives who have taught us what God is like. And thanks be to God who has loved us with such an utterly amazing, unconditional and overwhelming love. How in the world could anyone refuse a Love like that? "Can a woman forget her own baby, and not love the child she bore? Even if a mother should forget her child, I will never forget you. Jerusalem, I can never forget you! We are right to talk of God as a father, for the Bible speaks of him repeatedly as a father. The verses we have read liken God to sharing attributes of a mother. There are, however, no verses that say God actually IS a mother; however, God is compared to a mother, and he is even likened to a hen brooding over her chicks. But we should no more worship him as "Mother God" than we should pray to God the Holy Chicken! Since men and women are both created in the image of God, it should really be no surprise to us that God reflects attributes of mothers as well as fathers in his dealings with us. Matthew Henry, writing more than 300 years ago, reminds us that God comforts us and he does so "not only with the rational arguments which a prudent father uses, but with the tender affections and compassions of a loving mother." (Matthew Henry, Matthew Henry's Commentary on the Whole Bible, Complete and Unabridged in One Volume, Isaiah 66:5 (Peabody: Hendrickson, 1996, c1991). Women tend to be compassionate, although one mum said when I spoke to her this week, "It depends on the time of day!" When an accident happens in our home, my instinct is to ask what happened, how did the child get hurt, where is the bruise, was one of the other children somehow responsible? Andrée often says, "Darling, please just pick them up and give them a cuddle." God created the world. Is it any wonder he should feel the same intense degree of warm love and care towards his children that a mother so clearly demonstrates to hers? In one of our verses God says in effect "no way would a woman reject her own baby," before acknowledging that, then as now, sadly there are a few women who do indeed forget the child they bore. But God can NEVER forget! Why? Because of what happened on the cross when he "engraved our names on his hands." Mother with a baby might say, "O-o-oh, do you need a nappy change, poor little boy?" But Dad might say , "O man, could you not have waited to do that? It was changed only a few minutes ago!" God understands the pain that mothers go through, not just in labor but in the decades that follow. He has seen us his children go astray and reject him, but still he loves us. How amazing knowing that he was going to a city that had killed prophets before and would kill him, that he doesn't go in as a conquering manly warrior king. Rather, he says, "I am like a mother hen, cooing over you, wanting to gather you under my wings." Surely God understands the thankless task of trying to win over kids when they are rebelling and think you hate them. The thousands of sacrifices the average mother makes for her children reflects upon the ultimate sacrifice of his life that Jesus would make. Jesus died so he COULD gather his unwilling creation, like a mother hen would gather her chicks. He is hunting for them and searching for them right now to love them, forgive them, cleanse them from their guilt and shame, and make them into true children of God. Jesus scorned the shame and pain of the cross because of the joy set before him— the joy of US as his children. What a wonderful cry we heard from the prophet Isaiah—it was only made possible because of the cross. "Comfort, comfort my people, says your God. Speak tenderly to Jerusalem, and cry to her that her warfare is ended, that her iniquity is pardoned." (Isaiah 40:1-2). When it comes to hugs and kisses, especially if they are upset, my kids look to their mum for comfort. They say I am prickly and need a shave! Do you think of God as prickly? God is the God of ALL comfort. Jesus told us he was sending "another comforter" to replace himself, which tells us that his role and that of the Spirit was to comfort us. Our response to being comforted? We feel understood, We feel calmed. Stress lifts. Anxiety passes. Our problem now belongs to the one whose wings we shelter under. If you feel you are not there yet, you are probably right! Which of us is? But, that is our goal, arriving at a place where we trust God so much that we are not worrying about the events of our life, where we are calm and able to face the day. Perhaps you struggle with the question, "Why, God?" when you question something that has happened to you. There are a myriad of different circumstances life throws at us that make us ask that question. Bereavement, divorce, abuse by others, disappointments, sickness. There are no easy or complete answers to the question "Why?" One answer is that God wants you to quiet yourself, stop examining things "too lofty for us to understand," and instead be comforted by him so that you, too, can comfort others. But perhaps you need the comfort of others today . . . maybe you are far from the place that you can help someone else. Who here needs a touch from God? Maybe you need a touch from your neighbor. Who here already knows from bittersweet, personal experience the truth that "God is the God of all comfort" — it is time you learned to pass that on! He comforts us SO THAT WE CAN COMFORT OTHERS. "But," you say, "I am not a pastor or a theologian." I say, "God tells us to comfort each other with the comfort he has given us!" Church, are our conversations seasoned with the salt of comfort? Do we listen to the troubles of each other and show that we care? Do we help each other to find the strength that only God can give? This upcoming Sunday is Mother's Day. It's the day when Americans remember and celebrate the contributions and sacrifices their moms have made on their behalf. In honor of Mother's Day, I'd like to tell you a story about one mother whose devotion shaped not only her son's life but countless others, as well. Her name was Monica. A Christian, she was married to a prominent man who wasn't a believer. He was unfaithful and even beat her at times. Monica's response was to go to church every day and pray for his conversion. She hoped that by setting a godly example, even in the midst of her mistreatment, she might win him over. And that's exactly what happened. The suffering and anguish caused by her husband paled before what Monica's oldest son put her through. He lived a dissolute life, devoted to pleasure. He left one mistress and took up with another. His only son was born out-of-wedlock. His lack of faith and rejection of Christian truth hurt Monica even more. He belittled her beliefs and seemed to go out of his way to embrace Christianity's competitors for the hearts and, especially, minds of his contemporaries. He later recalled how his being “dead [to] that faith and spirit which,” as he put it, “[my mother] had from you . . . O, Lord” made her weep. That preacher, Bishop Ambrose of Milan, was right. At the age of 35, Monica's son, Augustine, became a Christian and was baptized, along with his son, Adeodatus, by Ambrose. A few months later, on the way home to Hippo with Augustine and Adeodatus, Monica fell ill and died. This devotion to the spiritual welfare of her son is why Monica is regarded as the model for all Christian mothers. Like Susannah Wesley, her zeal for the salvation of her son had an impact far beyond anything she could have imagined. But there's another reason why Monica's story should resonate with “BreakPoint” listeners and readers. Her concern was not only that her son give up his debauchery, as important as that was. Monica was determined that he embrace the truth of Christianity. She prayed that he would renounce false worldviews and put his sharp mind to the service of Christian truth. And that's exactly what he did. Augustine championed the Christian worldview against the false alternatives of his day. Much of what Christians believe today was first and best articulated by Monica's son. His writings, the Confessions and the City of God, are considered classics, not only of the Christian faith, but also of all of Western culture and civilization. Those books have profoundly shaped me and my ministry. While there can be only one Monica and Augustine, every Christian mother -and father, for that matter - should be concerned with their kids' worldviews. Praying for them and teaching them to seek after Christian truth is a solemn duty on our part and a contribution they will always remember, whether it is Mother's Day or any other day of the year. Gen 3:20 Adam named his wife Eve, because she would become the mother of all the living. Exo 20:12 "Honor your father and your mother, so that you may live long in the land the LORD your God is giving you. Lev 19:3 "'Each of you must respect his mother and father, and you must observe my Sabbaths. I am the LORD your God. Deu 5:16 "Honor your father and your mother, as the LORD your God has commanded you, so that you may live long and that it may go well with you in the land the LORD your God is giving you. 2 Ki 4:30 But the child's mother said, "As surely as the LORD lives and as you live, I will not leave you." So he got up and followed her. Prov 10:1 The proverbs of Solomon: A wise son brings joy to his father, but a foolish son grief to his mother. Isa 66:13 As a mother comforts her child, so will I comfort you; and you will be comforted over Jerusalem." Ezek 16:44 "'Everyone who quotes proverbs will quote this proverb about you: "Like mother, like daughter." Luke 1:43 But why am I so favored, that the mother of my Lord should come to me? Luke 2:51 Then he went down to Nazareth with them and was obedient to them. But his mother treasured all these things in her heart. 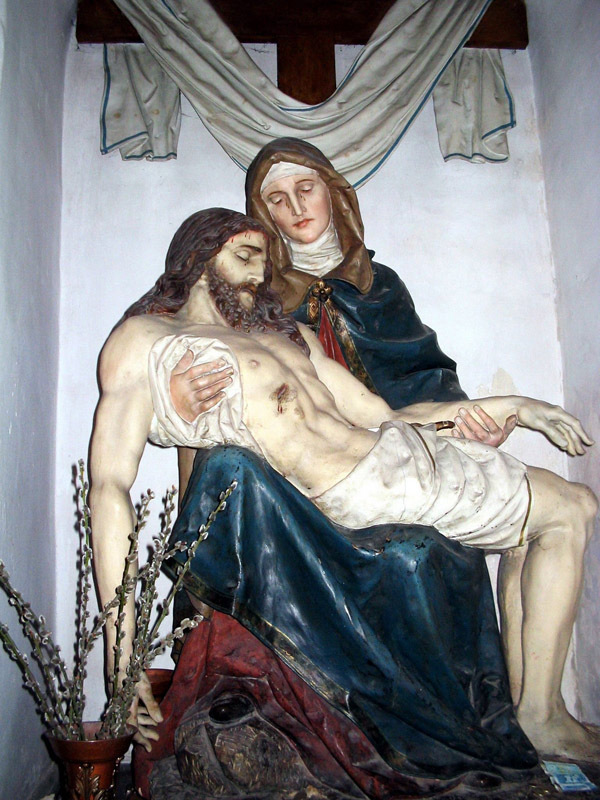 John 19:26-27 When Jesus saw his mother there, and the disciple whom he loved standing nearby, he said to his mother, "Dear woman, here is your son," and to the disciple, "Here is your mother." From that time on, this disciple took her into his home. Its sorrows, grief and bitterness. For comfort, strength and sympathy. But love and serve Thee to the end. The many problems at youth’s door. And rest within Thy loving care. To spread the honor of Thy name. Obedience to Thy will. Amen. Chop apples, onion, celery, and sauté in butter. Add shelled and deveined shrimp and undercook. Place this mixture in large greased baking pan. Make a roux of 4 T. butter, 4 T. flour, 3/4 t. curry, salt and pepper. Add 2 C. milk and cook until thickened. Add sherry and mushrooms. Pour over shrimp and bake for 1 hr at 350 deg F (175 deg C). May be prepared the day before and baked just before serving. Adding a small amount (2 T.) of chutney to the sauce before baking adds much to the flavor. Side dishes might include: crumbled bacon, coconut, chopped peanuts, chopped onions (green), chopped eggs, and chutney. Sprinkle over top of main dish and enjoy. During the 1600s, England commemorated a day called Mothering Sunday, as celebrated on the 4th Sunday of Lent in honor of the mothers of England. Class structures were abandoned on Mothering Sunday and servants would have the day off from their duties. All were encouraged to return home and spend the day with their mothers. A special cake, called the mothering cake, was often brought along to provide a festive touch for the occasion. Today's flour-less cake recipe is not for novice bakers, as it is rumored to be the current Queen Mother's favorite chocolate cake. Try it out on your Mom this Mother's Day, as she is your Queen for a Day! Toast almonds in a single layer on a cookie sheet in a 350-F degree (175-C degree) oven for about 15-minutes or until the almonds are lightly colored and fragrant. Make sure to shake the pan occasionally to turn almonds while toasting. Pre-heat oven to 375 deg F (190 deg C). Spray the bottom of a 9-inch spring form pan with a non-stick cooking spray. Dust lightly with flour or very fine, dry bread crumbs. Shake out any excess and set prepared pan aside. Warm chopped chocolate in the top of a small double boiler over warm water set at moderate heat. Cover until partially melted, then stir until smooth. Set aside to cool to room temperature. Reserve ½ cup sugar and place the remaining ¼ cup sugar with the almonds in a food processor or blender and chop until nuts are fine and powdery. Set aside. In a large mixing bowl beat the butter until soft. Add ¼ cup of sugar and reserve the remaining ¼ cup sugar for use later. Beat sugar and butter until thoroughly combined. Add the egg yolks, one at a time, and continue to beat until smooth. Add the melted chocolate and blend on low speed until combined. Add almonds and continue to beat mixture on a low speed setting. In a clean bowl with clean beaters, beat the egg whites with salt and lemon juice. Start on low speed and gradually increase until the egg whites hold a soft shape. Reduce speed again and add remaining ¼ cup sugar. Then on high speed, beat egg whites to soft peaks. Gently fold the egg whites into the chocolate mixture about one-third at a time until blended. Pour the cake batter into the prepared spring form pan and quickly rotate to level the batter. Bake for 20-minutes at 375-F degrees (190-degree C), then reduce heat to 350-F (175-C) degrees and continue to bake an additional 50-minutes. Remove cake from pan when cooled, after about 1-hour. Scald the heavy cream in a saucepan over medium heat until a thin skin forms on the top. Add the espresso or coffee powder and whisk to dissolve. Add the chocolate and whisk to dissolve, for about a minute or two. Remove from heat and continue to stir to finish melting the chocolate. Let icing cool for about 15-minutes, then pour over the top of the cake, starting at the center. Gently push the icing with a spatula over the sides to dribble down the cake. Top with shaved chocolate, or whipped cream just prior to serving. A fresh strawberry is an optional garnish with each served slice. The young mother set her foot on the path of life. "Is this the long way?" she asked. And the guide said "Yes, and the way is hard. And you will be old before you reach the end of it. But the end will be better than the beginning." But the young mother was happy, and she would not believe that anything could be better than these years. So she played with her children, she fed them and bathed them, and taught them how to tie their shoes and ride a bike and reminded them to feed the dog, and do their homework and brush their teeth. The sun shone on them, and the young Mother cried "Nothing will ever be lovelier than this." Then the nights came, and the storms, and the path was sometimes dark, and the children shook with fear and cold, and the mother drew them close and covered them with her arms, and the children said, "Mother, we are not afraid, for you are near, and no harm can come." And the morning came, and there was a hill ahead, and the children climbed and grew weary, and the mother was weary. But at all times she said to the children, A little patience and we are there." So the children climbed, and as they climbed they learned to weather the storms. And with this, she gave them strength to face the world. Year after year, she showed them compassion, understanding, hope, but most of all....unconditional love. And when they reached the top they said, "Mother, we would not have done it without you." The days went on, and the weeks and the months and the years, and the mother grew old and she became little and bent. But her children were tall and strong, and walked with courage. And the mother, when she lay down at night, looked up at the stars and said, "This is a better day than the last, for my children have learned so much and are now passing these traits on to their children." And when the way became rough for her, they lifted her, and gave her their strength, just as she had given them hers. One day they came to a hill, and beyond the hill, they could see a shining road and golden gates flung wide. And mother said: "I have reached the end of my journey. And now I know the end is better than the beginning, for my children can walk with dignity and pride, with their heads held high, and so can their children after them." And the children said, " You will always walk with us, Mother, even when you have gone through the gates." And they stood and watched her as she went on alone, and the gates closed after her. And they said: "We cannot see her, but she is with us still. A Mother like ours is more than a memory. She is a living presence." Your Mother is always with you. She's the whisper of the leaves as you walk down the street, she's the smell of certain foods you remember, flowers you pick and perfume that she wore, she's the cool hand on your brow when you're not feeling well, she's your breath in the air on a cold winter's day. She is the sound of the rain that lulls you to sleep, the colors of a rainbow, she is Christmas morning. Your Mother lives inside your laughter. And she's crystallized in every tear drop. A mother shows every emotion..........happiness, sadness, fear, jealousy, love, hate, anger, helplessness, excitement, joy, sorrow..... and all the while, hoping and praying you will only know the good feelings in life. She's the place you came from, your first home, and she's the map you follow with every step you take. She's your first love, your first friend, even your first enemy, but nothing on earth can separate you. Not time, not space...............not even death! 2. The gooier the food, the more likely it is to end up on the carpet. 3. The longer it takes you to make a meal, the less your child will like it. 4. A sure way to get something done is to tell a child not to do it. 5. For a child to become clean, something else must become dirty. 6. Toys multiply to fill any space available. 7. Yours is always the only child who doesn't behave. 8. If the shoe fits . . . it's expensive. 9. Backing the car out of the driveway causes your child to have to go to the bathroom. Tony Campolo says that all parents should learn a lesson from Jewish mothers. They are always telling their children how special they are, how much ability they have, and what wonderful futures they will have. For example, two Jewish mothers meet on the street. One says, "Ah, what lovely children! How old are they?" The other responds, "The doctor is five; the lawyer is three." At one point during a game, the coach said to one of his young players, "Do you understand what cooperation is and what a teamwork is all about?" "Do you understand that what really matters is not whether we win or lose, but that we play together as a team?" The little boy said yes. "Good," the coach continued. "And, when a strike is called, or you're thrown out at first, you don't argue, curse, attack the umpire with a bat, or throw dirt in the opposing team members face. Do you understand all that?" Again the little boy nodded, "Well, sure, coach. That's what you taught us." "Good," said the coach. "Now, please go over there and explain all that to your mother." Previous Issues of Malankara World Journal can be read from the archives here.